Boston's completed a significant remodel that included a major entertainment system upgrade. 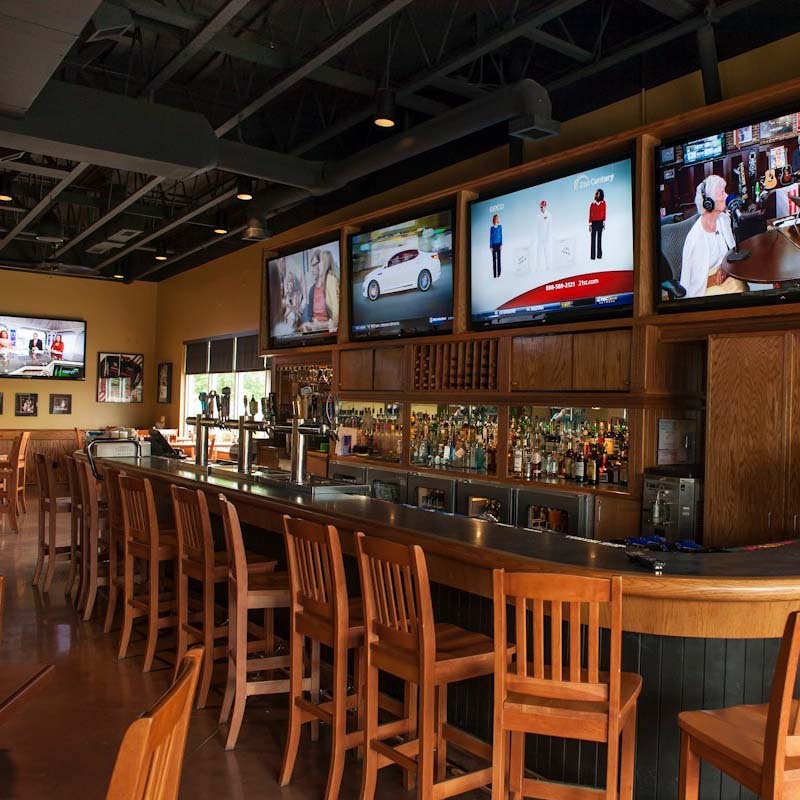 One of the main goal's of the project was to allow for a large variety of televisions to view different sporting events simultaneously in the bar area. Our design included a commercial grade video distribution system over HDMI sending full high definition to every television. With 80" monitors, the clarity was very important! 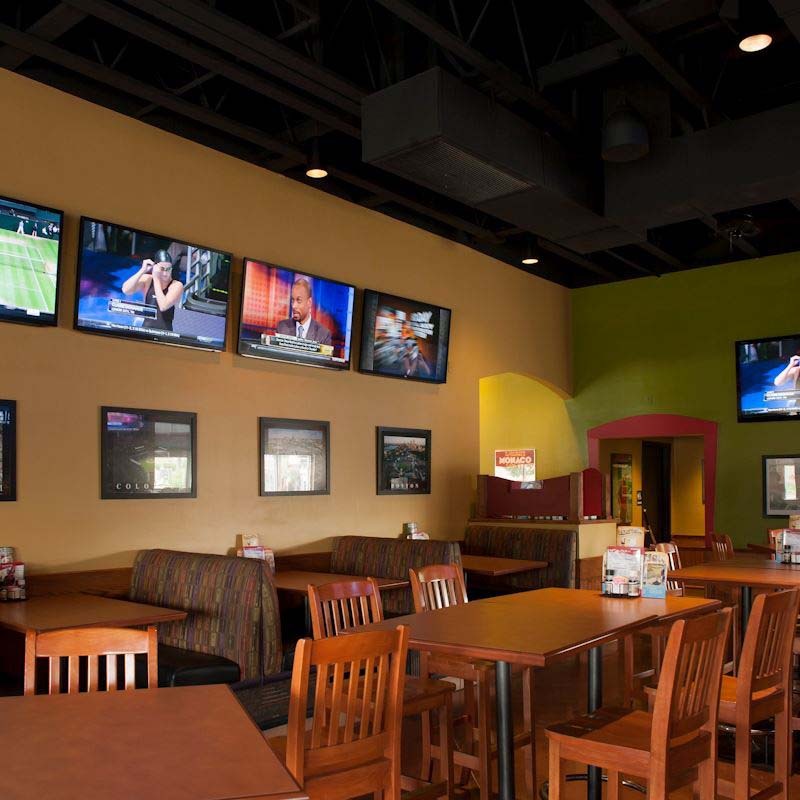 The Dining area enjoys the same flexibility with an additional 8 televisions so you never have to miss out on that next score. The speaker system includes pendant speakers that hang beautifully from the ceiling with multiple zones so the dining area can enjoy something a bit softer than the bar or the patio. The key feature behind this entire project is the simple control system. We believe that every system must be easy to use. Any employee is able to turn on the system and select what they want to watch on any television with one remote control. 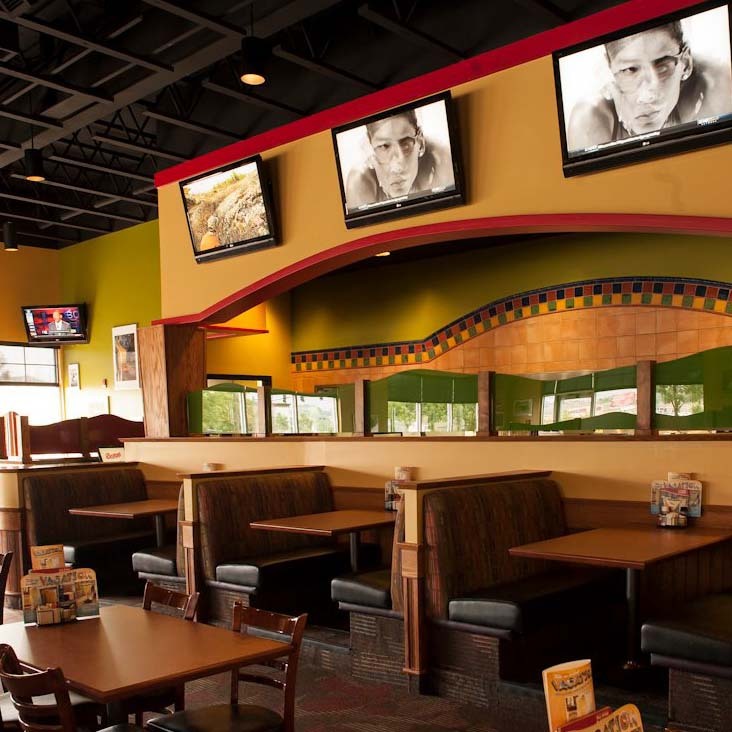 The programming is simple and works every time allowing a happy customer no matter where they are sitting.